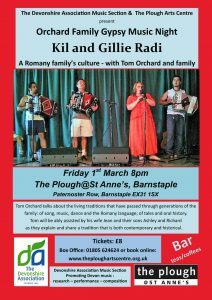 Tom Orchard talks about the living traditions that have passed through generations of the family; of song, music, dance and the Romany language; of tales and oral history. 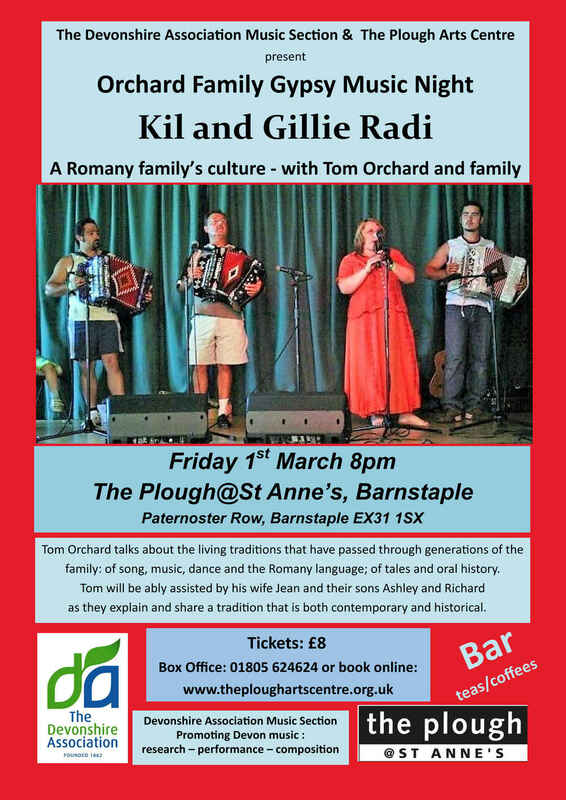 Tom will be ably assisted by his wife Jean and their sons Ashley and Richard as they explain and share a tradition that is both contemporary and historical. Click on the poster to see a full size version that includes full details. You can book for this event via The Plough Arts Centre box office on 01805 624624 or via their website, here. Note that the Music Section’s Annual General Meeting will take place in the same venue at 4:45 pm., before this event.